I am leaning into the curve of 2015. 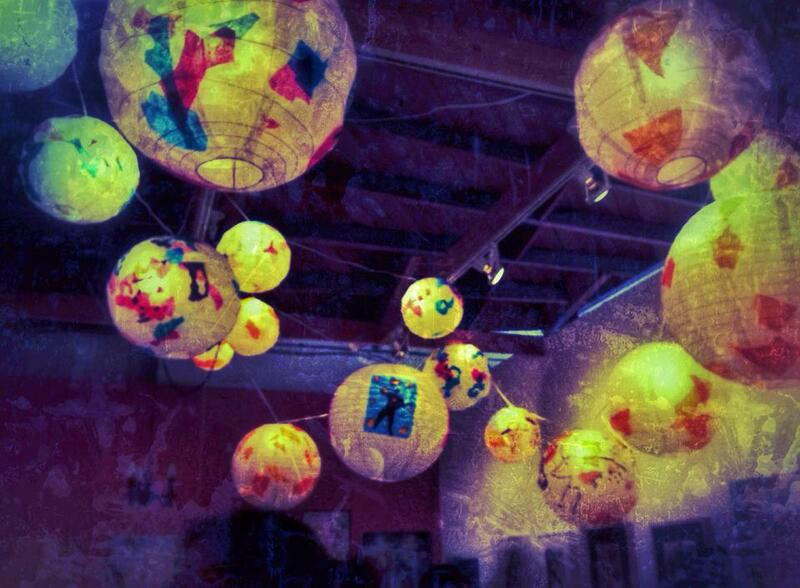 In November I dressed up my studio to honor lights in the darkness by decorating paper lanterns for Winterblast, solstice, and Christmas. I respond strongly to the annual winter darkness, and I’ve heard many other artists say this too. It’s a time of a lot of inspiration seeds or acorns stored to use later in the year. (Don’t hide them so well you can’t find them, though.) I chose two themes, Cave and Matisse. One is glowing in the dark recesses of the past, and one is jumping with color into the future. There’s a link to my instructions for making them at the end. I did a lot of family things this year. It’s easy to overvalue the things that “show” and are visible. Visual artists do this all the time. Home, family, the elders, and ancestors are the deep roots that feed us, invisibly. I cooked a goose and that was very complicated indeed, but was delicious. It was called “roast beef” in the past because the sliced goose is brown and really does taste like beef. And why not? Geese are land grazers, the cows of the bird world. 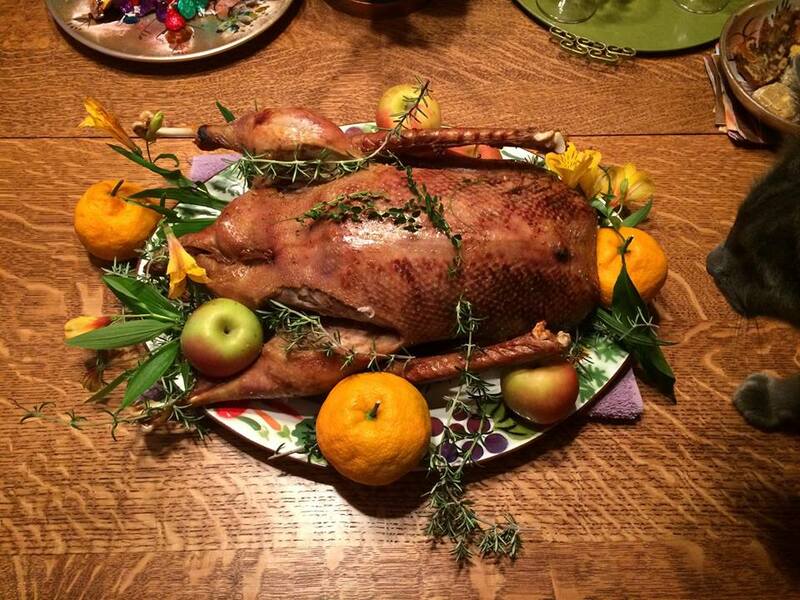 I did this as an edible metaphor to kick off my work on my new series for 2015, The Goose Game. The Christmas goose is eaten, though wishbone, stock and fat are left– the old ways. Come on over and I’ll roast potatoes in goose fat for you– I got that hint from a 1940s James Beard cookbook and they are amazing. I’ll be starting a Goose Game monotype series soon, using Akua soy inks and etching press. You can come along for the ride: I’ll be posting process photos and blogs. January is coming to an end and a new year is unfurling like a fern frond. Lean into that spiral. Here are Saltworkstudio’s lantern instructions. Enjoy. Congratulations on the fatted goose! Let’s make that date with the etching press! I hope you weren’t just leading me on! I look forward to helping with that and hanging out with you, hearing more about your walk through Spain and seeing your latest inspirations. I would never lead you on. Invite in email.